Pacific Electric interurban no. 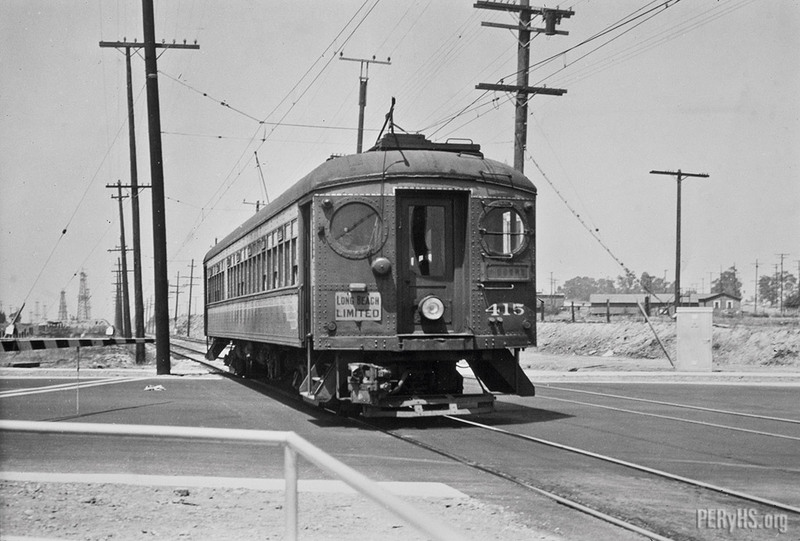 415 rolls through the Wardlow Road intersection in Long Beach in this Southern Division action shot. The date is August 24, 1951.